Because this is a performing event, everyone's voice is important. We expect you will be attending unless you have an immovable, unavoidable conflict. (Please let us know via the online absence form). Thank you for leaving enough time to park and deliver your singer to their warm up space ready at their call time listed below. All singers should report to the Mendota Ballroom inside the Edgewater Hotel upon arrival. This space is in the main building on the right side as you are facing the lake. We will have volunteers helping to direct singers--if you're unsure where to go, please ask hotel staff or find a familiar face! All performances as well as event activities will be on the Plaza. 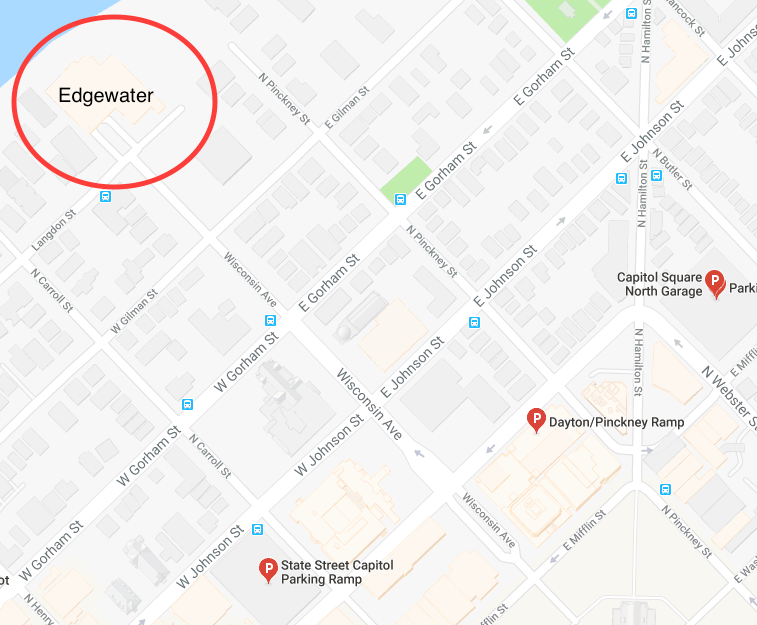 Parking (limited spaces) is available in Edgewater's adjacent ramp for $5. Other parking options are noted on the map below. In addition, there is street parking available in the neighborhood. Parents may want to drop their singer first and then park. Today's forecast looks nippy (but sunny!). All performances are outside on the Plaza so we expect that in addition to wearing the MYC red polo, singers will also be in their winter jackets. Please still wear your red polo (feel free to wear something long-sleeved underneath as well). Casual jeans, pants, skirts, etc., are all appropriate with the polo. Please no tears or stains. This is a casual event but let's look sharp!